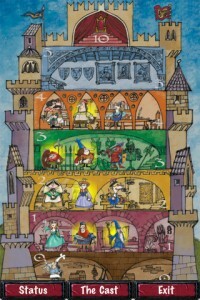 I get the impression that Viva Il Re isn’t that well-known, although it got a Spiel des Jahres recommendation in 2004 and it’s recent re-release as King Me is sure to have increased awareness more recently. Viva Il Re is about selecting a new king and having your candidates in the best positions when one is chosen. 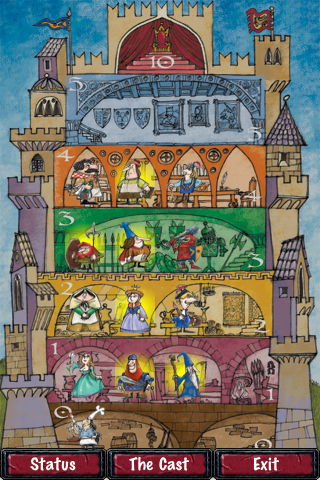 The board is split into numbered levels (from the bottom upwards: 0, 1, 2, 3, 4, 5 & 10). The candidates to be king are placed on the different levels. Each player ‘owns’ several candidates but, apart from their own, players do not know which opponents own which candidates. Multiple players can own the same candidate too.